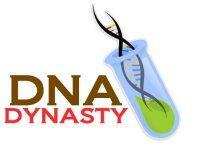 To our friends from THE DNA NETWORK, we sincerely apologize for borrowing your logo without your prior permission. We meant no offence nor do we have any intention to steal your assets. We already have our official company logo (As seen on the top left corner). During our initial design process, we needed some pictures to fill up the empty spaces to present the site to our management and design team for brain storming. The beta site was meant for internal circulation only. It was not meant for public viewing. 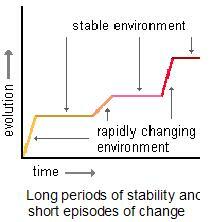 Unfortunately, due to unforeseen circumstances, it became very popular in the search engine. This was unintentional. We have gone through some of the blogs written by THE DNA NETWORK community and understood that there are many strong opinions about our products, specifically Kids Innate Talent test. DNA Dynasty Group is just a marketing company appointed by Shanghai Biochip Co., Ltd (SBC), a government funded National Engineering Centre of Biochip, to market their products. If anyone would like to verify the validity of such test and the research thereof, you are most welcome to contact SBC directly for verification. To be fair, I thought I’d mention this, especially to those of you that are network members since this is addressed to you. For the record: I still think their products are misleading crap, government funding makes it worse if anything, and being “just a marketing company” is no excuse. Tests that make me cry, and stealing too !! In lack of words, I’m weeping for the future of responsible medical genetics.